Sophie is from Loveland, OH and is a junior at Miami. 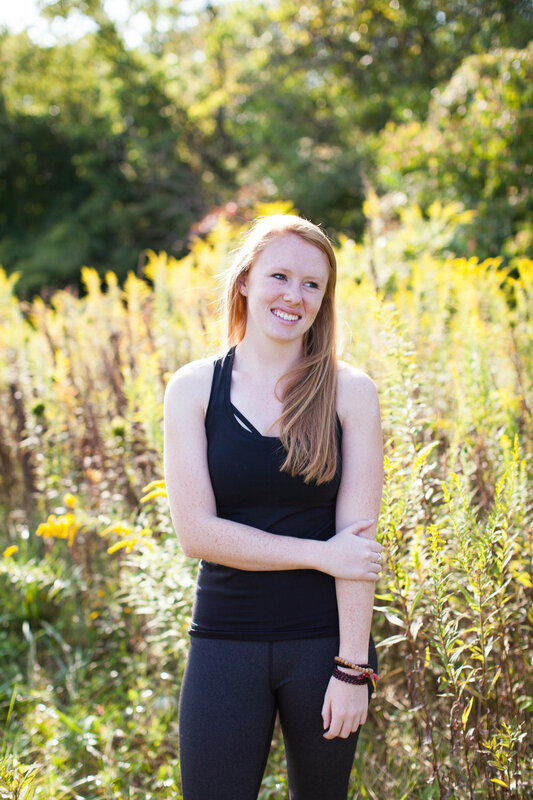 Her yoga practice started her freshman year in high school and she began practicing regularly a few years later. Signing up for teacher training was a last minute decision and it ended up being the greatest choice of her life! She received her 200-RYT from Simply Power in Loveland, OH in March 2015 and teaches a Baptiste inspired flow. Sophie hopes her students may learn to be vulnerable on and off the mat by pushing them through a powerful class that allows them to step outside of their comfort zone. Kacey found her way to yoga at the young age of 10, while tagging along to classes with her mom. Over time and into her teens, she found yoga as a place to exercise the mind and body. Upon graduating high school, Kacey knew a yoga teacher training was in her future. When graduating from Miami in May 2017, she took the leap to get her 200-RYT, specifically in Vinyasa, at Yoga Six in Columbus, OH. "I am happy to call Root my first official studio! In the fall of 2018, I plan to attend graduate school for Occupational Therapy, where I am eager to incorporate yoga during therapy sessions with future clients. In my free time, I love to run, hike, and volunteer with service-dogs-in-training and individuals with disabilities!"